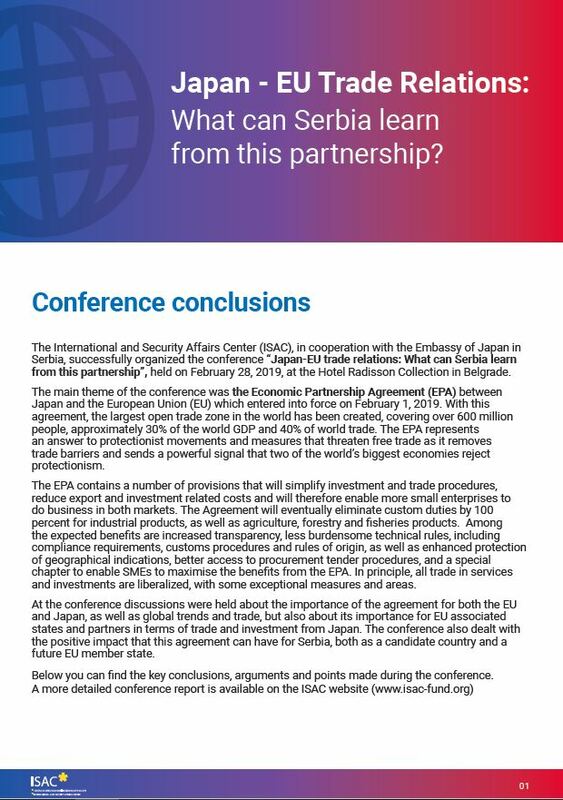 ISAC is pleased to present conclusions and recommendations from its third international expert conference „CFSP and Serbia’s Accession to the EU: What Next?“, held in Belgrade, on December 6, 2018. The conclusions are focused on the most important topics and messages that were highlighted during the conference, and give a brief overview of all the conference panels. 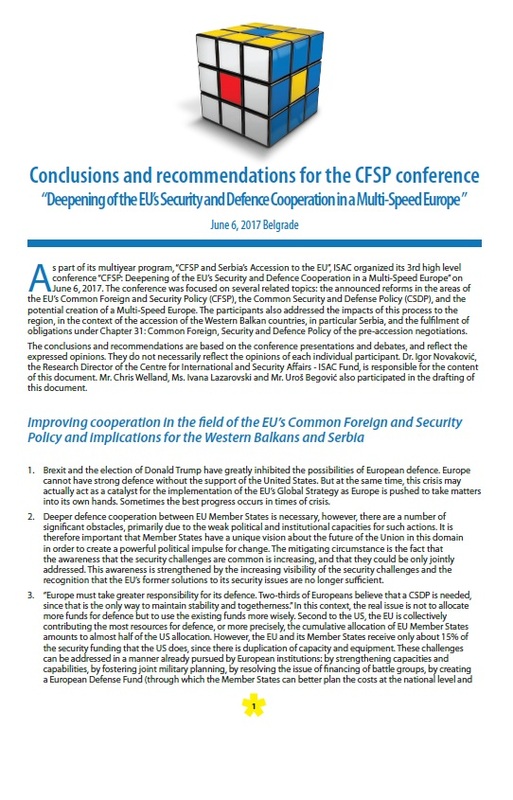 ISAC Fund is pleased to present Conference Conclusions from its 3rd #CFSPSerbia Conference “Deepening of the EU’s Security and Defence Policy in a Multi-Speed Europe” held on June 6, 2017. in Belgrade. The Conclusions give a brief overview of all the panels as well as the most important messages that were highlighted during the conference. 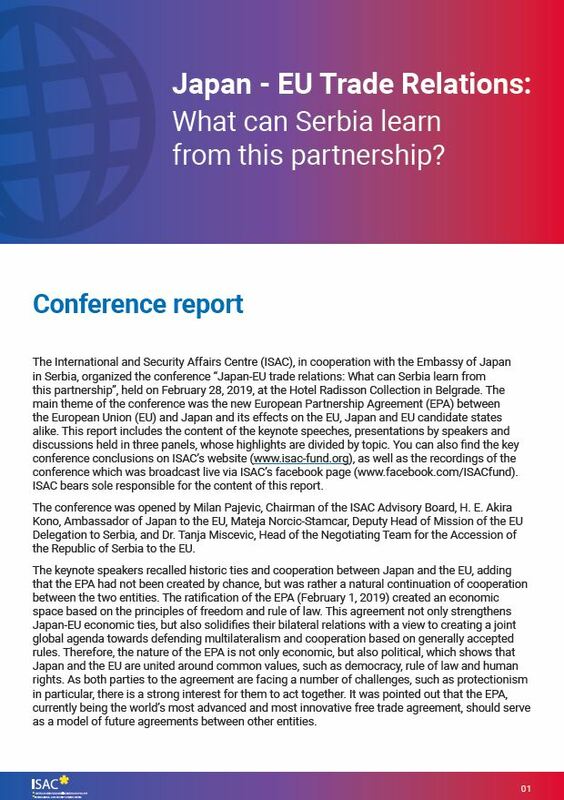 As a result of the two day international conference “CFSP and Serbian Accession to the European Union” held on 12 and 13 May 2015 in Belgrade, International and Security Affairs Centre (ISAC) presents the most important conclusions from this event. 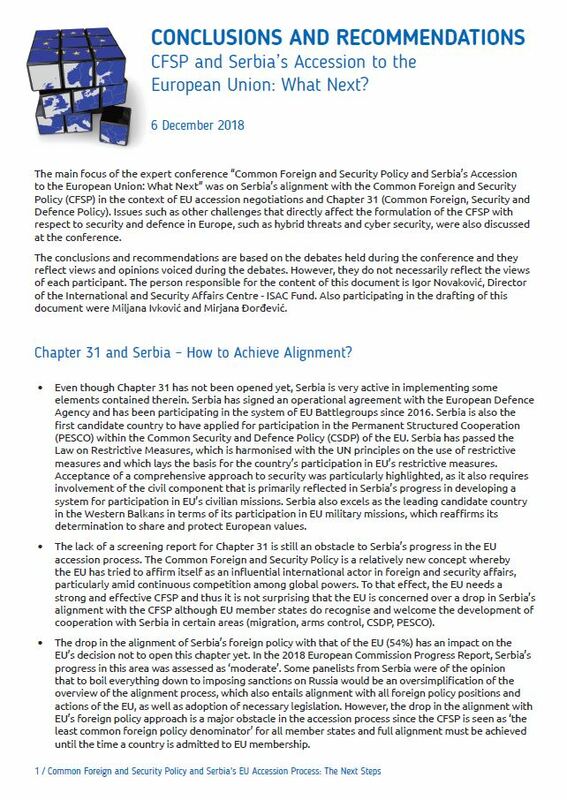 The report focuses on the main questions related to the Serbia – EU relations in the light of foreign policy: Common Foreign and Security Policy of the European Union and the prospects for deeper integration, Common foreign and security policy and future prospects, Common foreign and security policy and the Western Balkans – The importance of regional cooperation for the CFSP, The importance of a Common Security and Defence Policy, The importance of the Common Foreign and Security Policy for Serbia’s EU accession – negotiations in Chapter 31. 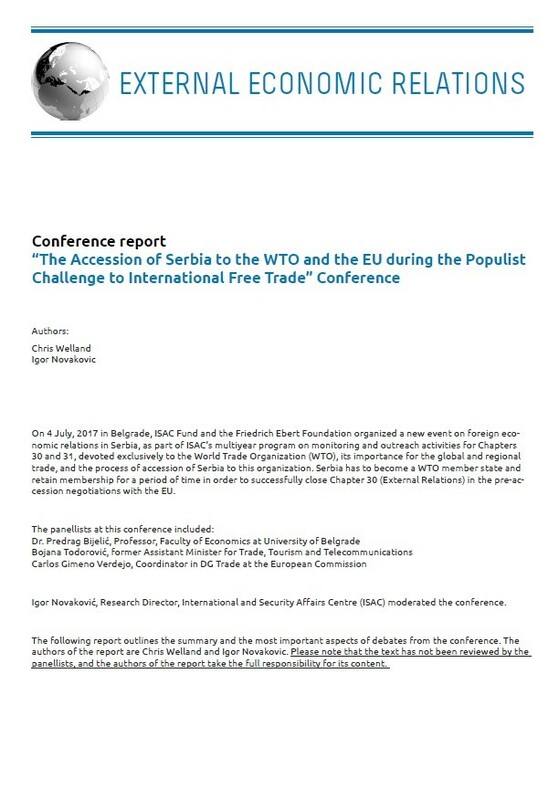 As a result of the international conference Ukrainian crisis – Views from Ukraine, Germany and Serbia held on 20 March in Belgrade, International and Security Affairs Centre (ISAC) and Fridrih Ebert Foundation present a report on the course and main conclusions from this event. Ukrainian conflict is one of the biggest challenges for the European Union today, and it does not only affect international affairs and the stability of one of the EU partner countries in Eastern Europe, but also the stability of the entire EU. Because of the internal debate on the orientation of the foreign policy of Serbia and progressive harmonization of the Common Foreign and Security Policy, the citizens of Serbia need objective information from all sides. The report is therefore focused on the main issues related to the crisis in Ukraine: the beginning of the crisis – the reasons, challenges and directions of deepening; the position of the EU; Ukraine’s internal situation in the context of the crisis; and finally Serbia’s attitude towards Ukraine’s crisis.